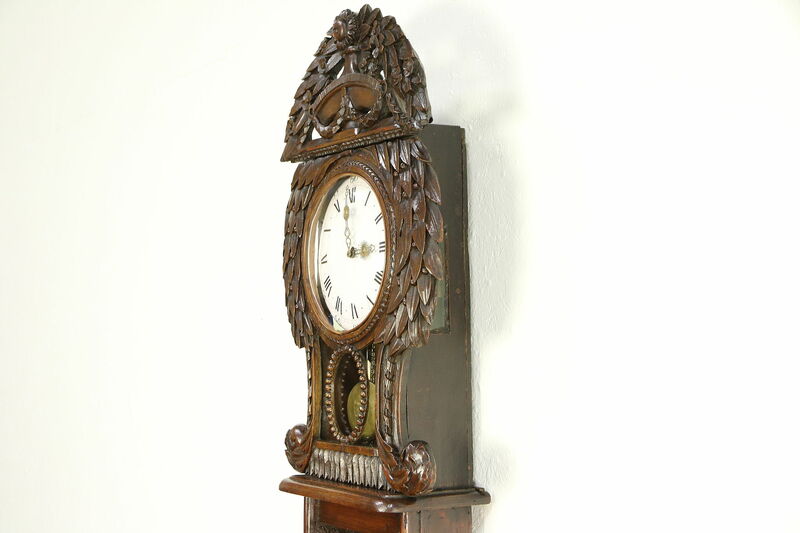 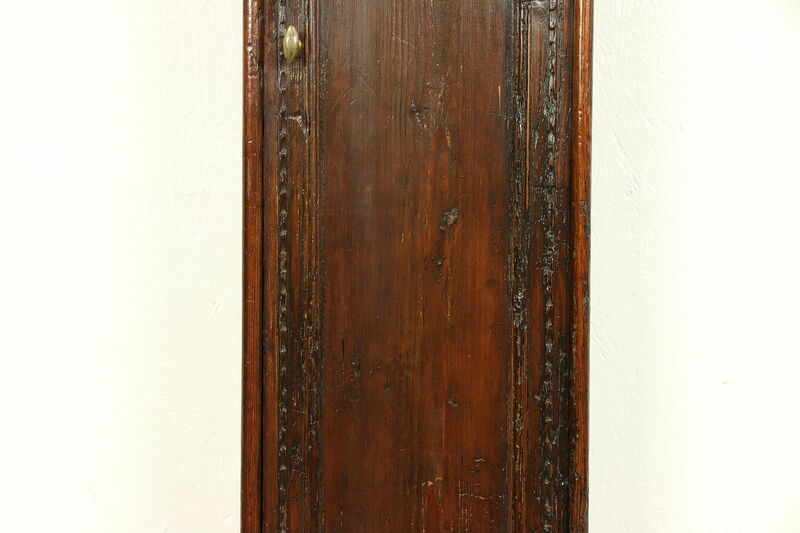 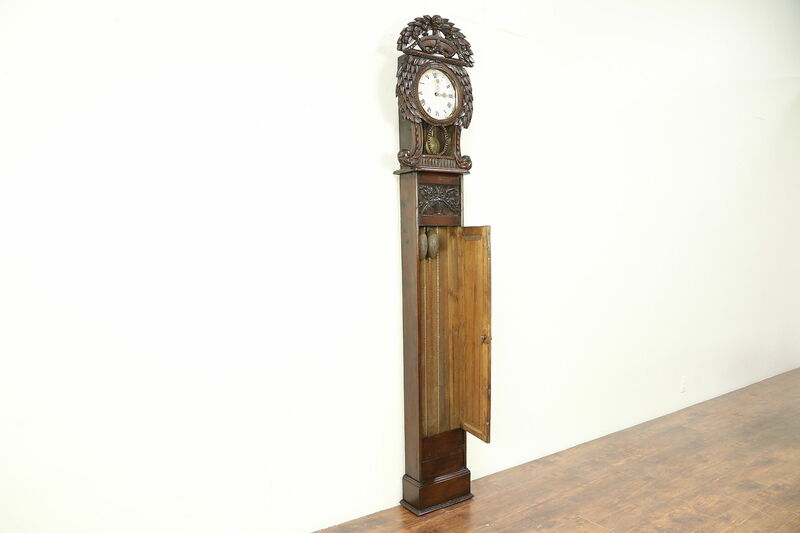 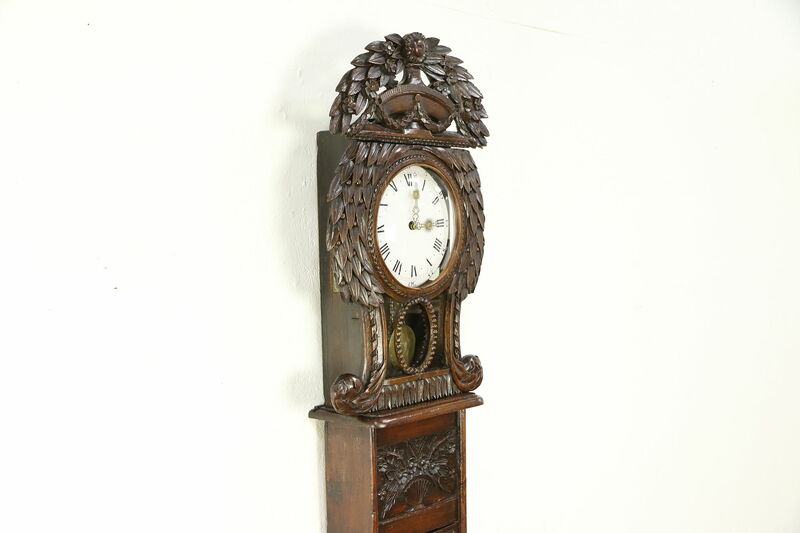 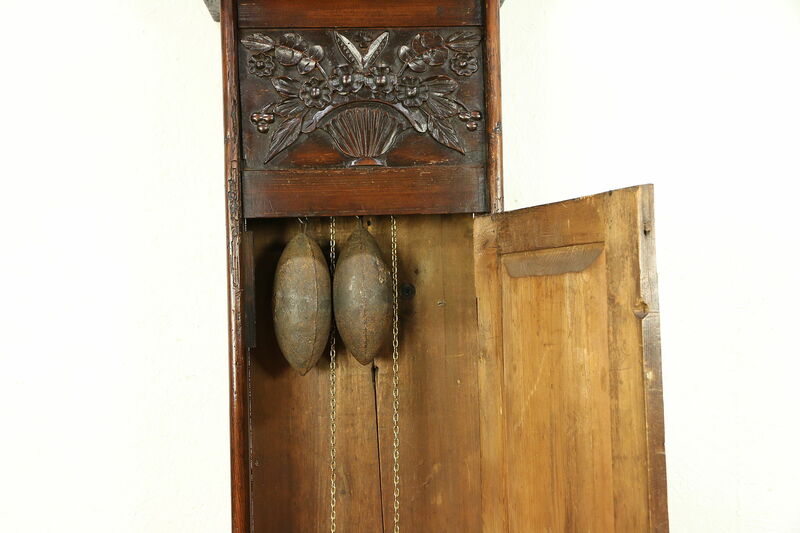 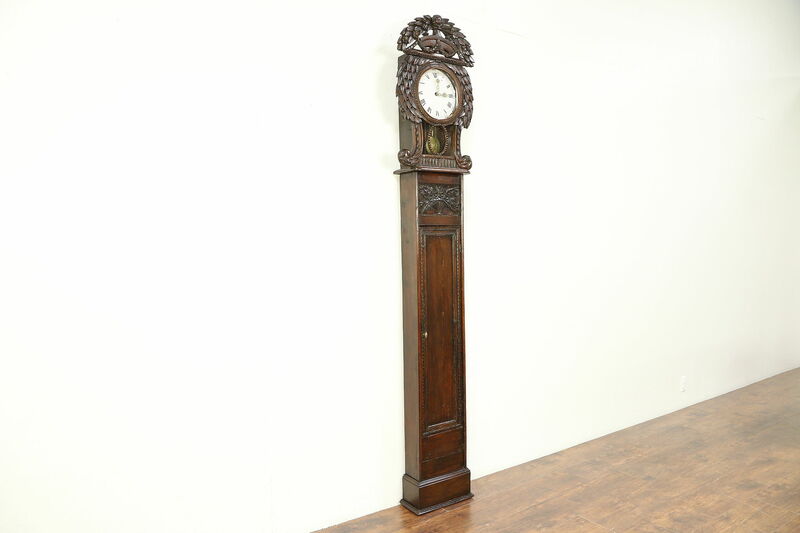 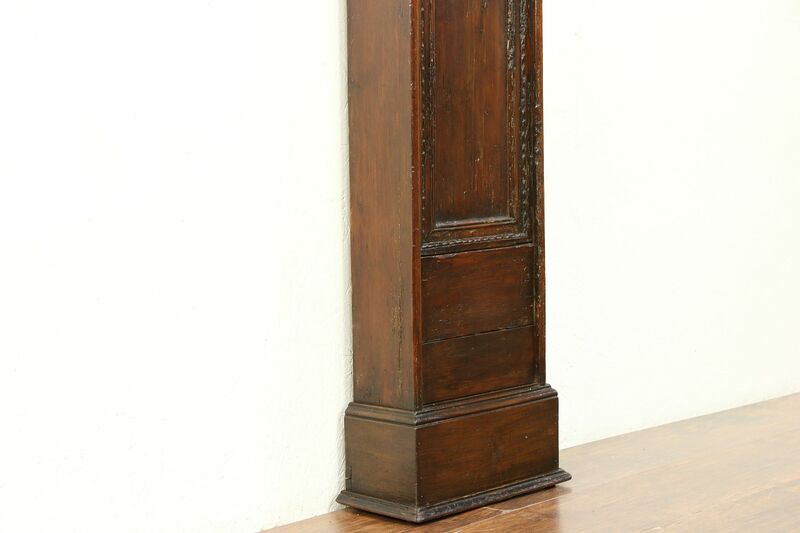 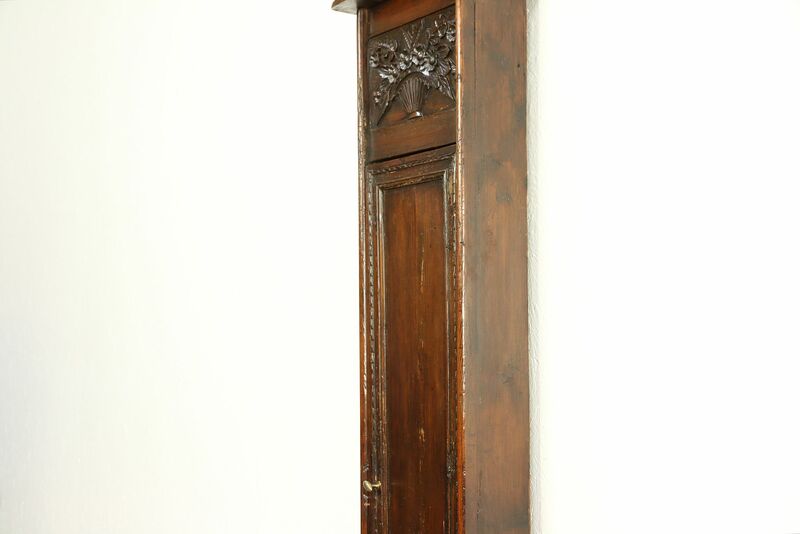 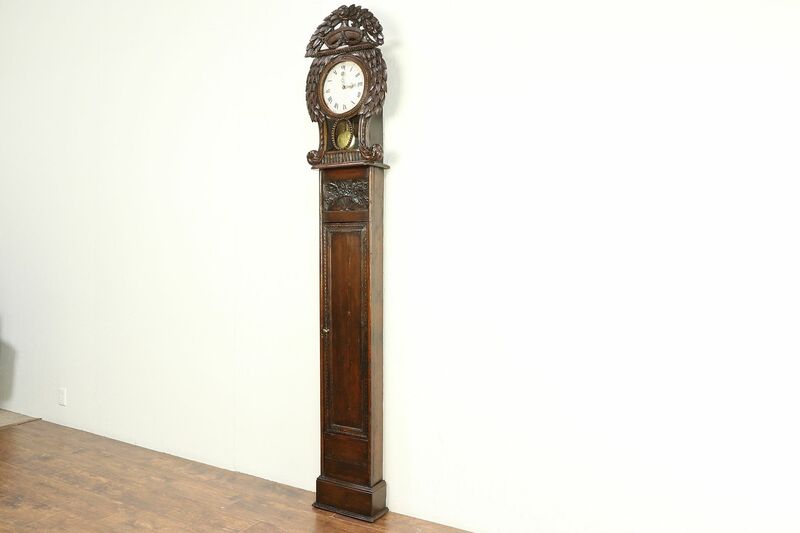 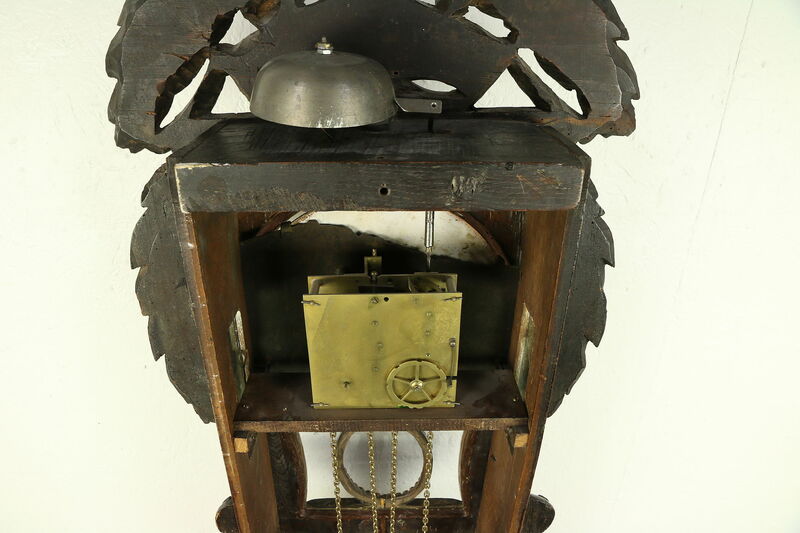 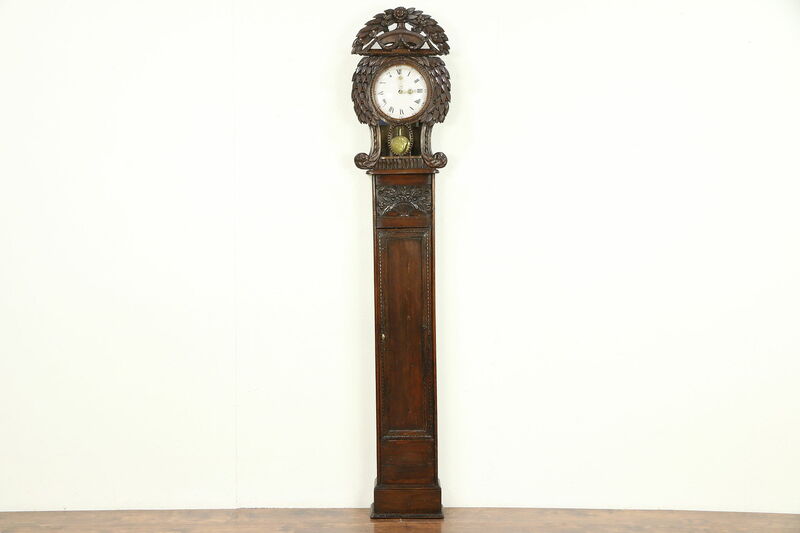 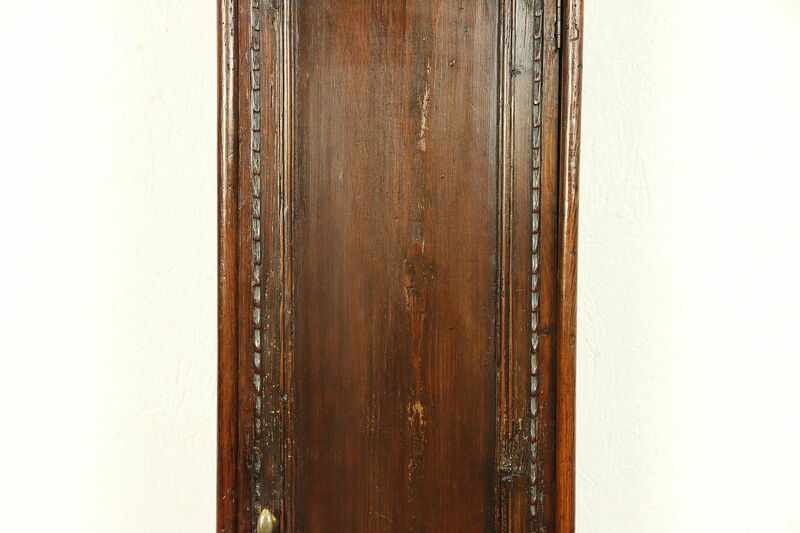 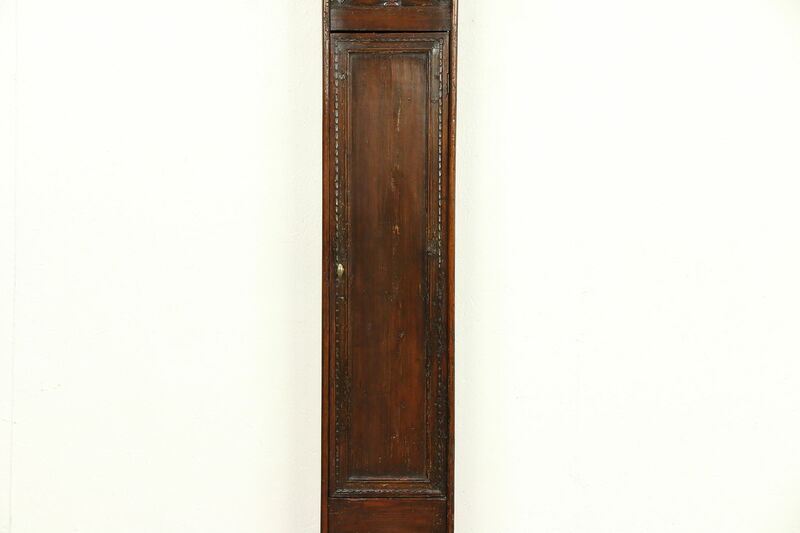 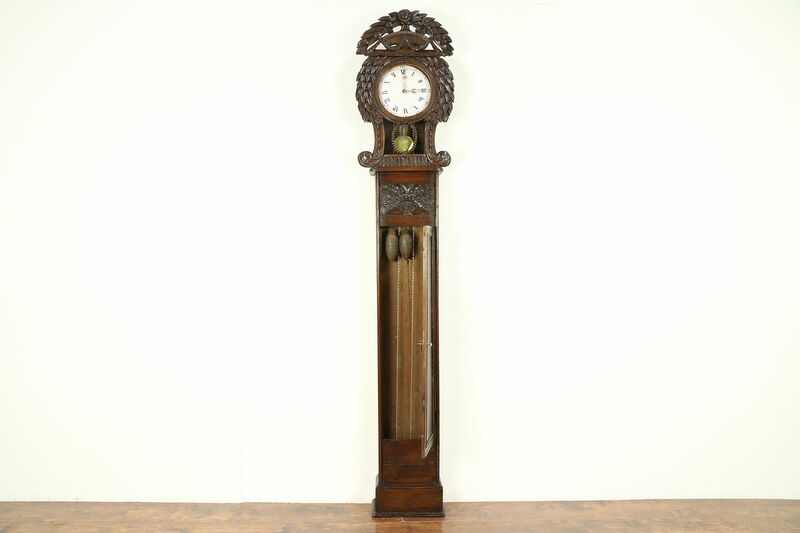 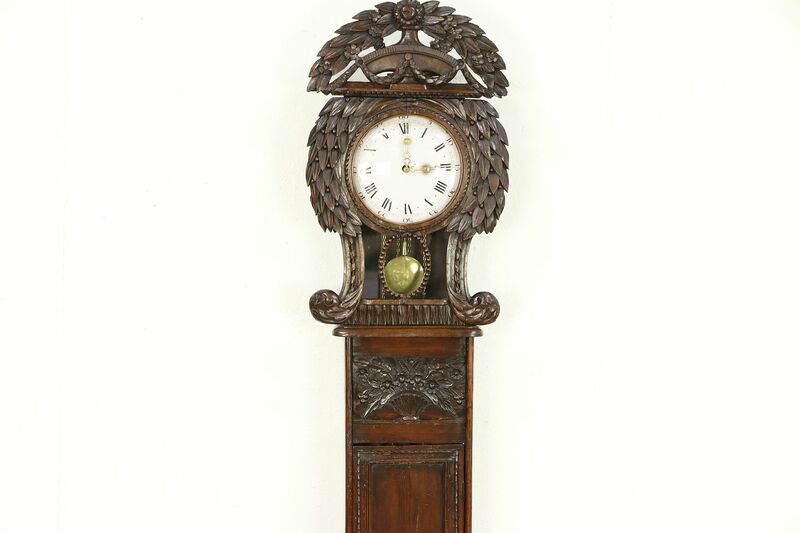 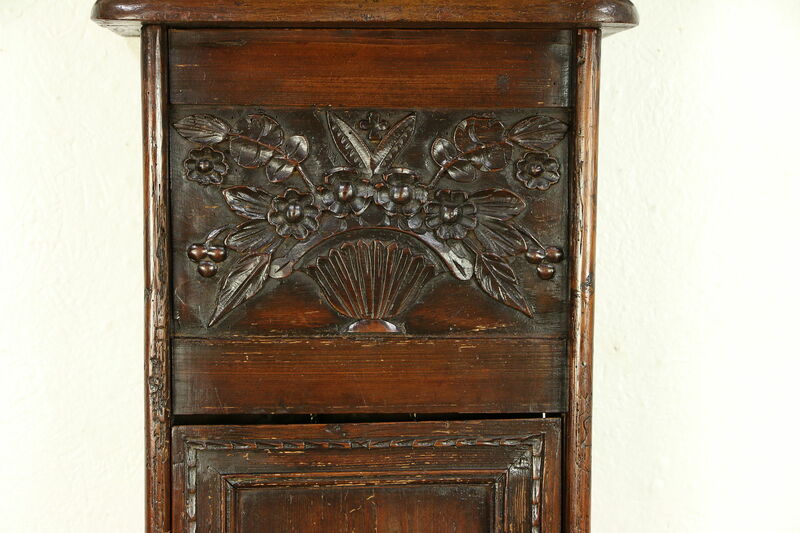 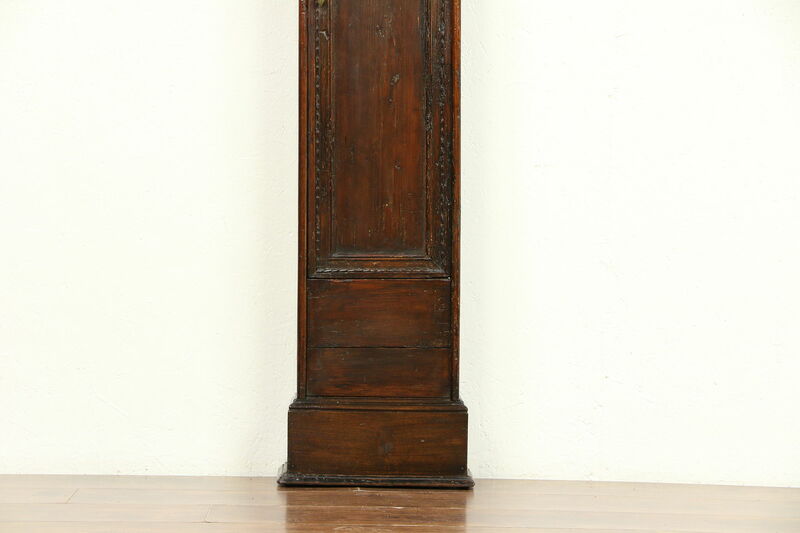 A French tall case clock from the Louis Philippe period about 1840 has a wonderful hand carved wormy pine case. 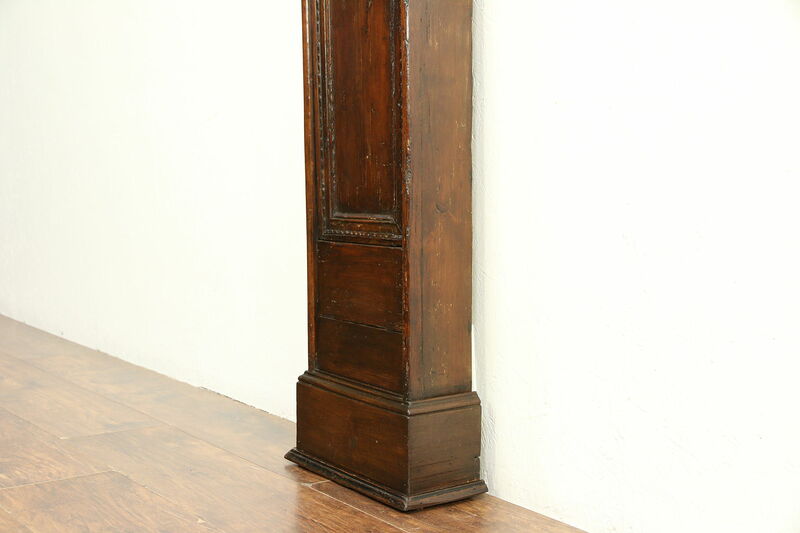 The old finish is well preserved with just enough wear for a little character and has been waxed and buffed, so all that is needed to maintain the warm patina is an occasional wipe with a soft dry cloth. 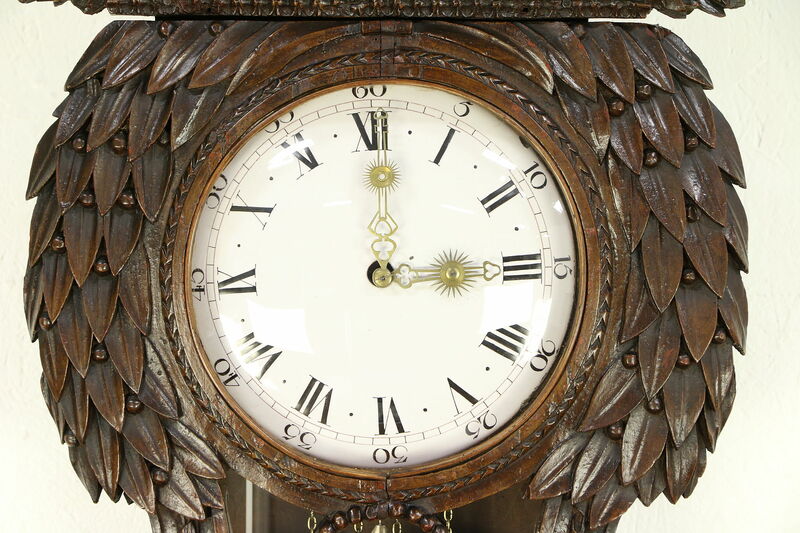 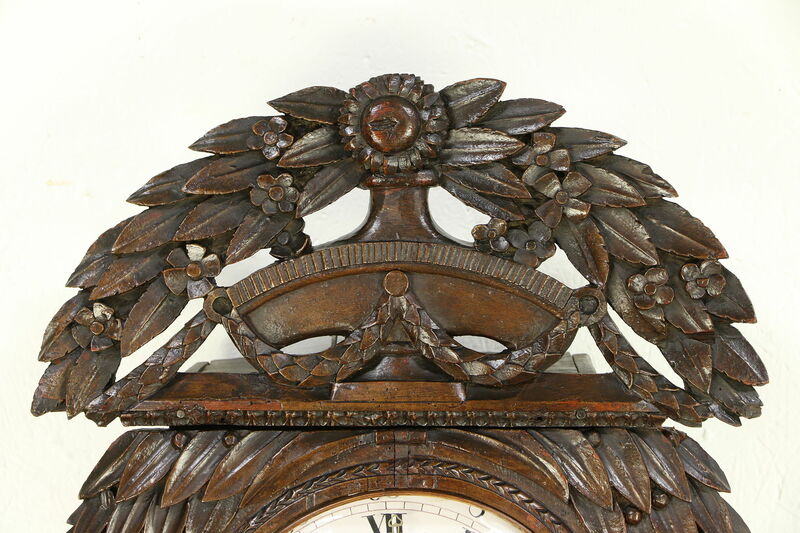 The lavish carving is beautiful on this rustic country or Provincial clock. 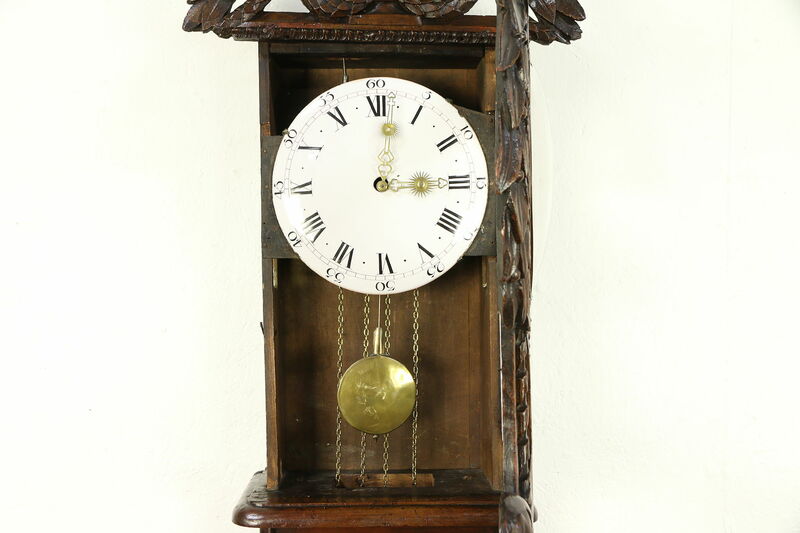 The brass movement appears to be about 100 years old, and keeps accurate time. 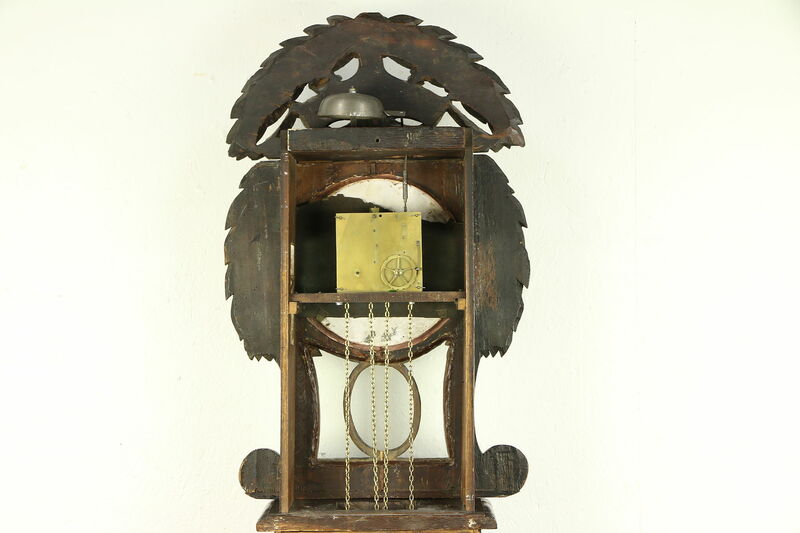 Pulling the chains winds the clock for about six days. 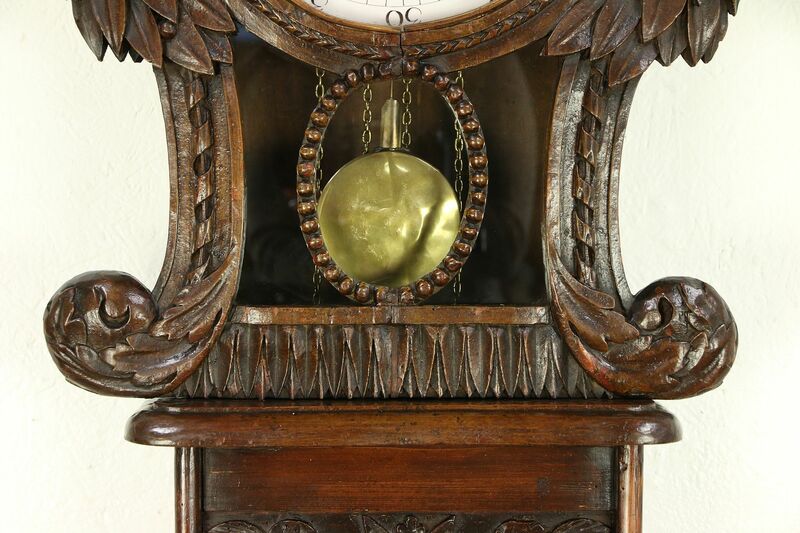 A bell counts the hour and rings the half hour. 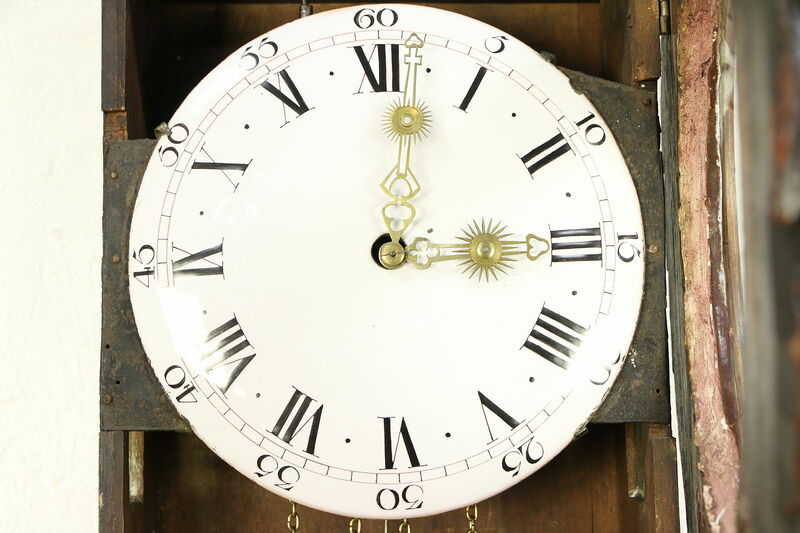 The hand painted porcelain dial is original on this French antique furniture. 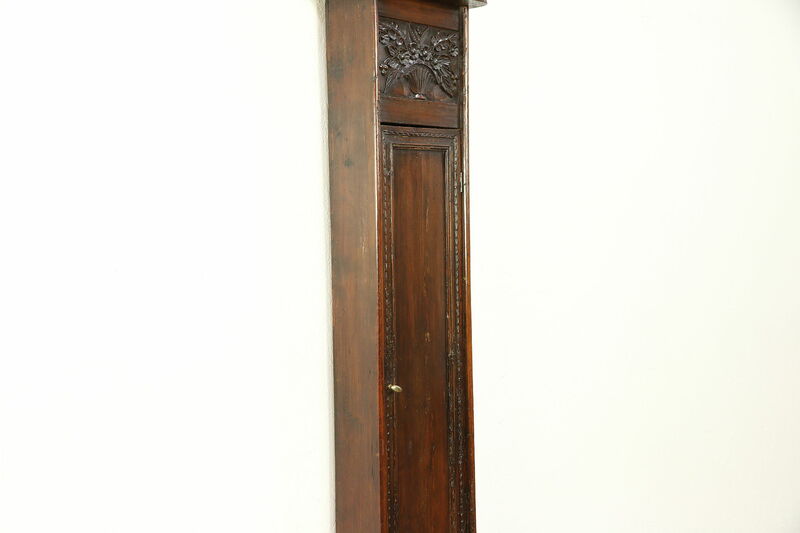 This case must be attached to the wall for stability. 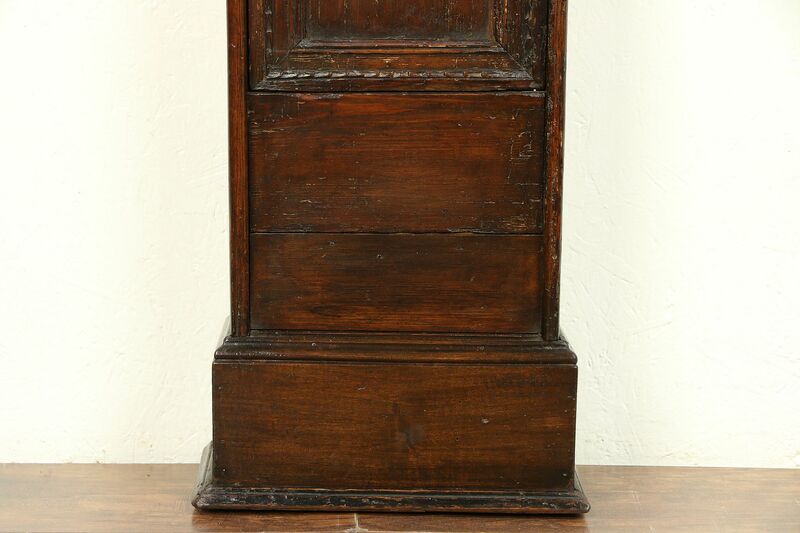 Size is 18" wide, 7" deep and 91" tall.